Photojournalist credentials are essential if you are covering major news events. Photojournalist credentials, commonly referred to as "press passes", identify you as a legitimate journalist who should be admitted to areas reserved for the media. Credentials allow you access to places other members of the public would not be privy to. For example, a credentialed photojournalist would be able to shoot a pro football game from the field while his non-credentialed counterpart would have to make do snapping shots from the stands. Likewise, a press pass may afford you backstage access at a live concert or entry to a sealed accident scene. For events that include major political figures or world leaders, credentials are required for admittance into media pool areas. These specially designed areas provide better vantage points and are typically void of items that would obstruct your view and ruin your shots. Without a credential, you would be forced to stand with members of the general public and try to take decent pictures with a telephoto lens. Type one credentials: These types of press passes are issued by media corporations, such as newspapers and TV stations. They identify photojournalists as employees of said news organizations and feature information such as the journalist's name, employer, contact information and a current picture of the photojournalist. Type two credentials: The second type of credential is the event credential. This type of press pass is issued by organizers of particular events, such as the Olympics, the Super Bowl or political conventions. Event credentials can be challenging to obtain since most are issued to major news affiliates and each organization is limited to a certain number of passes. There are several ways you can obtain legitimate credentials as a photojournalist. The simplest way is to gain employment with a news agency or other publication, which will issue you a credential during your first week on the job. State and local press associations are the primary credential agencies in major media markets. Individual media outlets use these agencies to provide credentials to their employees. In addition, most state press agencies (e.g. the Colorado Press Association) will also issue credentials to freelance journalists as long as they are members and provide references from other credentialed journalists. Membership fees vary among press associations. Yearly fees run roughly $100 and the credential application cost is about $5. A photo credential and vehicle press plates cost extra. 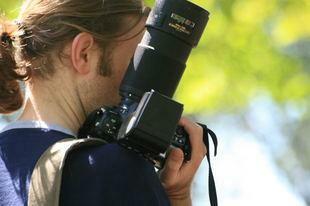 The US Press Agency (USPA) also offers credentials to freelance photojournalists. Each press pass is personalized with your photo, the official USPA embossed seal, and a brief background of your journalistic history. You can obtain an application online. The cost per credential is about $70. The fee will get you a credential that includes your official membership number and USPA ID Number, which appears as a barcode on your press pass. Membership in the IFPO comes with other benefits, which are detailed on the group's website.